Farrois is an ancient grain, the original grain from which all others derive. Farro has been eaten & cultivated in Italy for centuries most notably by the Roman Legion! The Romans ate farro to give them strength as they marched across the Western World & would arrive with a full belly & battle ready thanks to this hearty grain! Such a great hearty fall & winter salad. Great served alone or as a side dish. 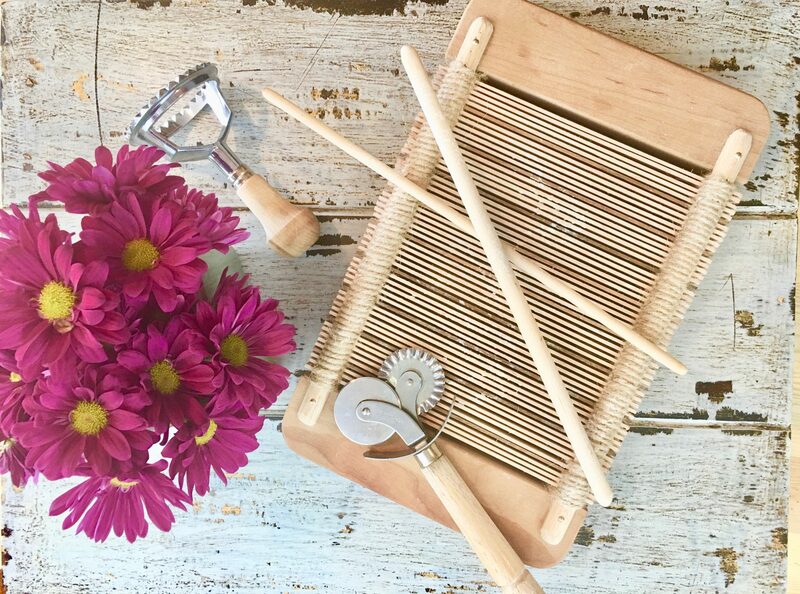 Measure 1 1/2 cups farro into a fine mesh strainer and rinse with cold water. Drain. Transfer to a medium sized pot that has a lid. Add 4 cups of water and 1/2 teaspoon salt. Bring to a boil over high heat. Reduce heat to low, cover and cook for 25-30 minutes, until it is softened but still chewy. If there is liquid remaining in the pot, drain it off. Use a fork to gently fluff in olive oil. Let cool. Sweet Potato: Preheat oven to 400°. Place peeled and cubed sweet potato on a baking sheet, drizzle with olive oil, season with salt & pepper and roast until tender about 15 – 20 minutes. Dressing: Whisk the vinegar, honey, dijon, salt & pepper until well combined. Slowly whisk in the olive oil until immulsified. 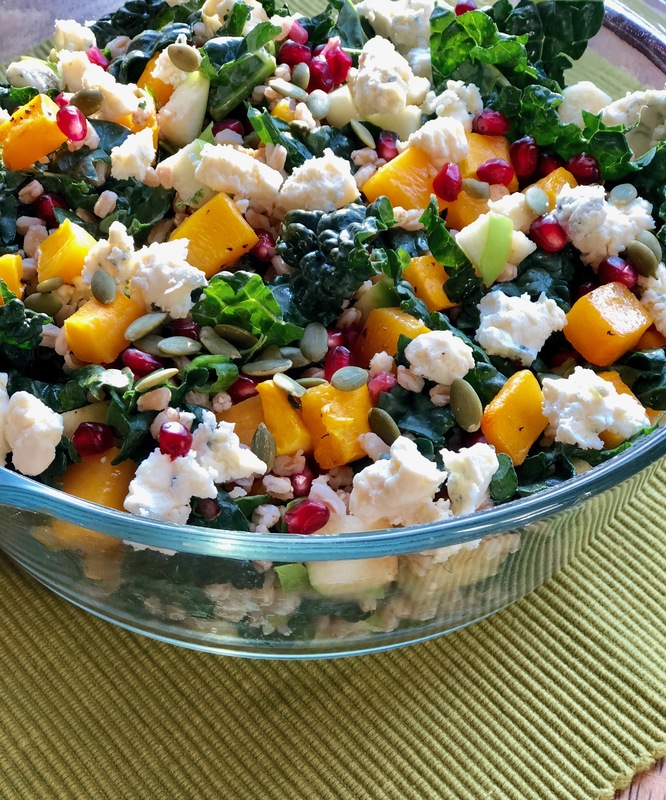 In a large bowl combine the pomegranate seeds, apple, sweet potato, kale, scallions, pepita seeds and farro. Drizzle with extra virgin olive oil and toss to combine. Garnish with feta cheese. Serve with the balsamic dressing. Farro can be found at grocery stores with rice and grains. It also can be ordered from Amazon. You can switch things up… try butternut squash or pumpkin. Use different nuts: pecans, walnuts, almonds choose your favorite. If you cannot find pomegranate balsamic you can use regular balsamic. Different cheeses, goat, blue or gorgonzola. Dried cherries or cranberries.